Liverpool, United Kingdom | AFP | Manchester United had not lost to Liverpool in the Premier League for eight games and over four years prior to Sunday’s 3-1 defeat, but the current chasm between the two sides was exposed as Jose Mourinho’s men fell 19 points behind the league leaders at Anfield. Match-going United fans have been reluctant to turn on Mourinho, instead often pointing fingers at executive vice-chairman Ed Woodward’s reluctance to back the manager in the transfer market this summer or the club’s American owners, the Glazer family. 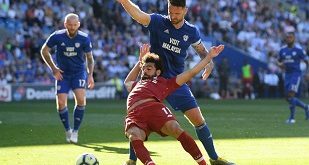 However, by the end of proceedings on Sunday, as two deflected Xherdan Shaqiri strikes in the final 17 minutes sealed a thoroughly deserved victory for the hosts, it was Liverpool fans who sarcastically sang “don’t sack Mourinho”. The Portuguese coach said he accepted responsibility for a fifth defeat of the season that leaves the 20-time champions of England 11 points adrift of even a top-four finish. But he also pointed the finger at what he described as “permanently injured” players and claimed both sides played “in relation to their qualities”. That does not say much for Mourinho’s management as despite Liverpool spending more than any other Premier League club this summer to mount a title challenge, United’s transfer spend under Mourinho in recent years still dwarfs that of any side other than champions Manchester City. “Not one of the United midfielders can pass a football,” said former United captain Gary Neville on Sky Sports. 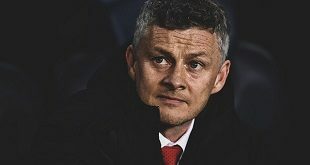 The wasted millions that have led United to this position were laid bare at Anfield as Paul Pogba, who cost a then world-record £89 million ($112 million) in 2016, was left on the bench for the full 90 minutes. Another near £100 million of attacking talent in Juan Mata and Anthony Martial also started on the sidelines, while £50 million close-season signing Fred did not even make an injury-hit matchday squad. “If you came down from the moon today and knew nothing about football you’d say United are an average Premier League side,” said another former United captain Roy Keane in a withering assessment of the Red Devils’ predicament. Liverpool dominated United, England and most of Europe in the 80s, but have not won a league title since 1990. 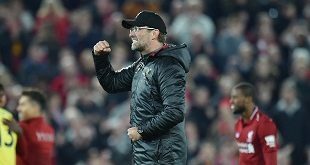 An end to nearly three decades of hurt could be in sight, though, as victory took Jurgen Klopp’s men back to the top of the table, a point clear of City. As Klopp bounded onto the field to hug his players and rouse the home fans in one final celebration after the final whistle, the German epitomised the differing mood at the two clubs personified by their managers. Mourinho had successfully parked the bus to come away from Anfield with 0-0 draws in each of the two previous seasons. Yet, this United side are not even capable of mastering that gameplan anymore with a defence that has conceded 29 goals in 17 Premier League games. 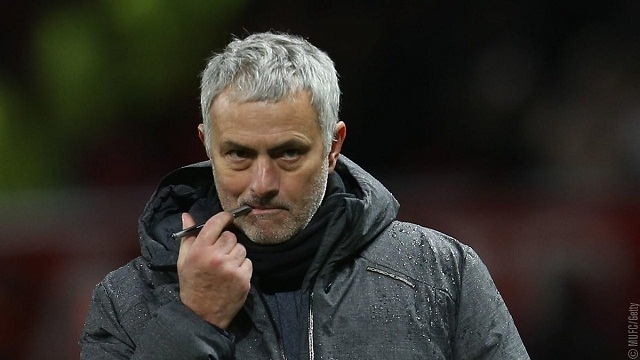 United must now watch their two fiercest rivals battle it out for the title, while already a top-four finish looks like a tall order for Mourinho’s men. Ultimately, it was failure to qualify for the Champions League that cost Mourinho’s predecessors Louis van Gaal and David Moyes their jobs. The same fate is likely to meet Mourinho, despite extending his contract to 2020 earlier this year. “Will Mourinho leave? I think it will happen,” added Neville, who reserved much of the blame for Woodward and the board. “Nobody above him can handle him. They don’t know what to do with him, they don’t know what to say to him. They don’t know what he’s going to say at every press conference.